Startup founders who have interviewed with Stacklist have shared reviews on 1200+ tools they consider critical to running their business. A handful of tools have considerable market share and appear in upwards of 30% of stacklists. You know them. They&apos;re the Slacks, Zendesks, and Hubspots of the word. Hats off to those leaders but this article is about the tools that are the hidden gems. They are promising and powerful tools that founders rave about - but, as yet, appear in very few Stacklists. That’s often because either the tool is serving a niche need or that tool is just entering the market and has only been embraced by the earliest of us early adopters. Here at Stacklist the team put together some a few of our favorite gems that you could – and should! – be using. We think 15Five is really cool! 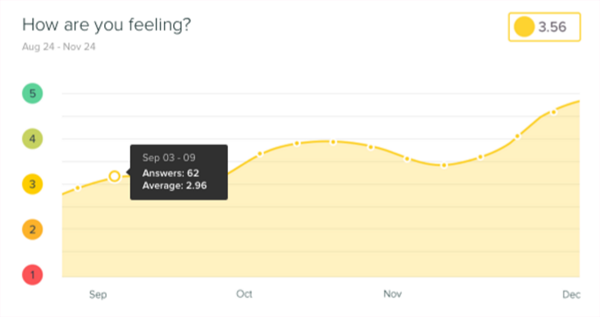 It is a great tool to understand how your employees are feeling and performing. It’s built on a relatively simple concept. Employees take 15 minutes a week to answer simple question, and managers take 5 minutes to read, respond, and take action. This allows leadership to get a better understanding of how the company is working every week. The questions are customizable, so you can steer the conversation in a more fruitful direction. You can ask employees what they’re most proud of and what projects they’ve completed. You can also track how they’ve been feeling overtime, so you can ensure that you have a productive and happy workforce. 15Five give your employees the ability to praise one another for a job well done. It’s a simple - yet effective - way of boosting morale. 15Five lets you resolve issues before they become problems and makes sure you are hearing the best ideas your employees have. Pricing: Basic costs $5/user/month and the recommended plus package costs $8/user/month. Charlie gets rave reviews. It combs through 100s of sources and automatically sends you a one‐pager on everyone you&apos;re going to meet with, before you see them. Charlie makes sure you are up to date not only on who you are meeting with, but also common interests and the latest news about their company, so you can always be prepared for your meetings more thoroughly than if you had spent the afternoon on Google. Charlie performs an average of 57 Google searches before each meeting - more than you would do - making you better informed. It will also email you in advance of your meeting, so you are always ready. Charlie is a great tool to save you time and energy, so you can focus on the meeting ahead. Workable is trending on Stacklist, having come up multiple times on recent Stacklist interviews. Workable is a simple recruiting tool that’s known for being intuitive and easy to use for both individuals and teams. 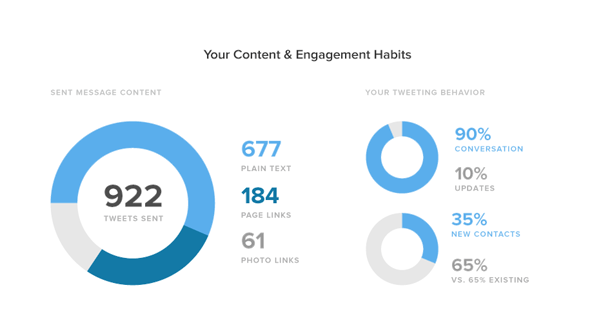 Workable’s claim to fame is that users can get up and running in just a few minutes. It&apos;s a great system for publicizing your job opportunities without having to spending a fortune in time or money. Pricing: Plans range from $39/month to $399/month and vary depending on the amount of active jobs you are posting. Sprout Social is an all-in-one social media manager that goes into great depth in managing social channels, providing customer service across mediums, and promoting social marketing. Sprout Social is used by 2% of startups on Stacklist, and we’re always a little surprised that the percentage is not higher; the reviews are overwhelmingly positive. We think that might be because it’s more expensive than its (often freemium) competitors. Whereas competitors offer a la cart pricing on analytics, Sprout Social packages them into the full package. And they’re very powerful. The analytics provided give insights into customer demographics and social media channel updates and will also give information on content and engagement habits. A single-stream inbox, which lets you tag and organize messages, enables a snapshot view of all social media feeds. Sprout Social also provides a more complete customer profile, so you can see all previous interaction and respond better. It integrates with Zendesk and UserVoice. In terms of marketing, it allows for publishing and tagging outgoing content and lets you choose optimal send times. Pricing: The deluxe plan costs $59/user/month, and the premium plan costs $99/user/month. FullStory is used by companies like WayUp and Inkshares. FullStory shows you exactly how your customers are interacting with your site by displaying which events they’ve interacted with and what they see on their screens. This is a unique vantage point for startups in that it proxies the first-person view beautifully and clarifies issues for your customer support team. Product managers and developers are also able to better understand user engagement and which features are working. Support agents have a more thorough grasp on what problems customers are facing by seeing it visually. Web developers are even able to see bugs and problems in real time and fix them. FullStory gives you insight into your own site, so you can understand your brand like your customers do. Pricing: FullStory is expensive, with the cheapest plan with up to 25,000 session/month costing $199/month.